Olivine in high-energy marine environments. 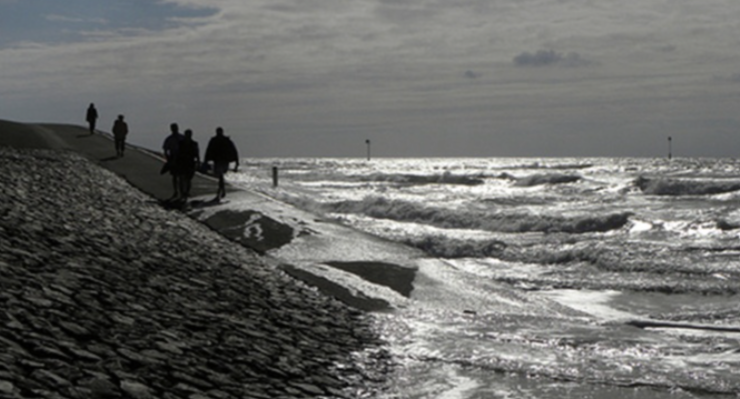 Large areas of shallow seas are subjected to strong currents that can transport gravel. 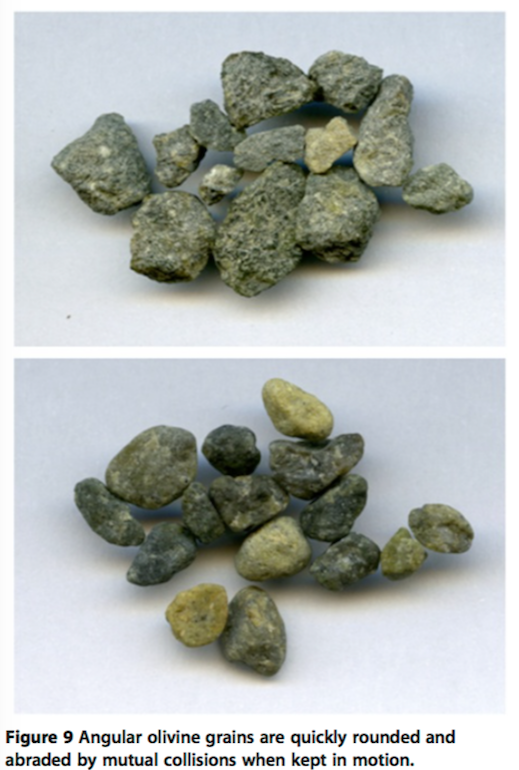 When olivine grit is spread on the sea bottom, the grains are kept in motion, and bump and rub against each other. This releases micron-sized slivers that rapidly react with sea water. It is the most direct way to counter ocean acidification. When olivine is used for marine coastal protection (breakwaters, artificial reefs, sand replenishment on beaches) this has a direct effect against ocean a cidification. CO2 is absorbed as bicarbonate, and the pH of the surrounding waters rises. Diatoms contain up to 50% of lipids, which makes them an ideal starting material for the production of biodiesel. They grow fast, provided they have a source of s ilica. 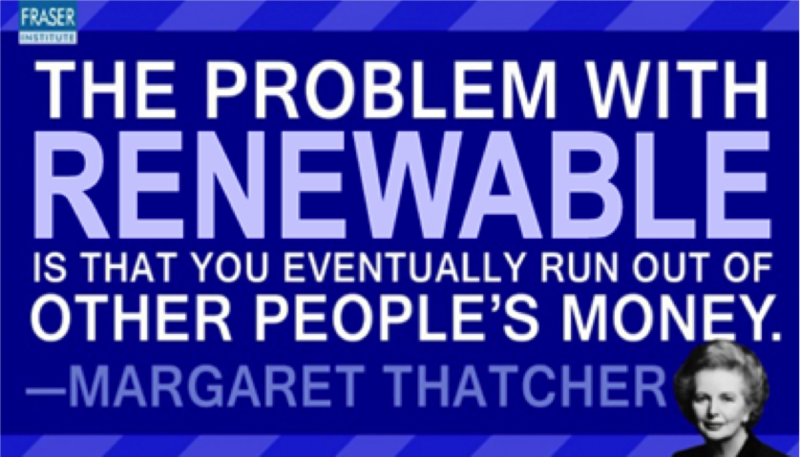 They don’t suffer from the drawbacks of land-grown biofuel crops. 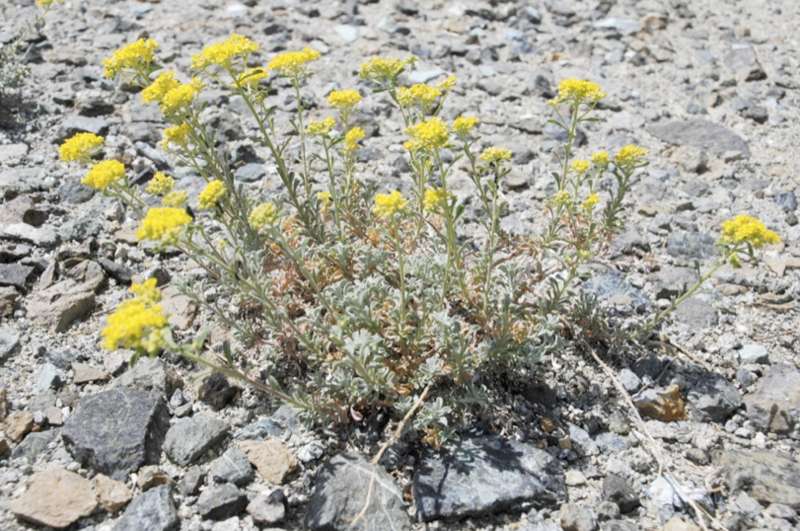 They don’t occupy vast tracts of land that should be used for food production, and they don’t require vast amounts of scarce irrigation water and fertilizer. 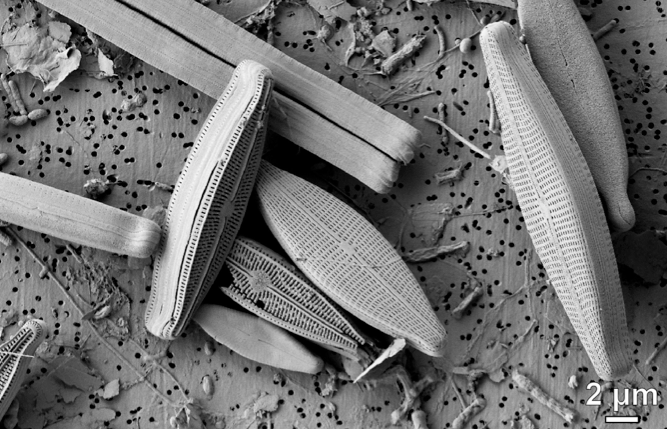 The use of biodiesel from diatoms will reduce the CO2 emissions from fossil fuels. Quenching of forest fires. 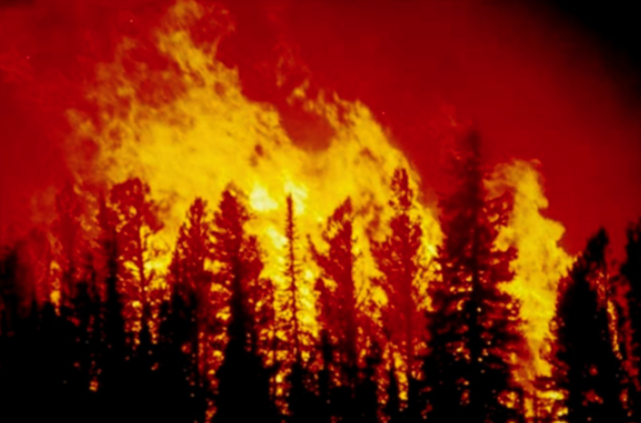 Forest fires are the second largest emitter of CO2, after fossil fuels. It was demonstrated that quenching such fires with a slurry of serpentine powder is considerably more effective than quenching with water. Thi s reduces the emissions of CO2 by the fires, and the associated financial losses. The serpentine that was calcined by the fire reacts very fast with CO2 and water afterwards, thereby compensating part of the emitted CO2 during the fire. A better and quicker mastery over forest fires may also help to save lives. A property of olivine weathering that is commonly over- looked is its energy production. If the heat that is released by the weathering of olivine is trapped, this would represent a huge alternative source of energy that additionally captures large volumes of CO2, hence the name supergreen energy. In the article above a basic scenario is described how this could be achieved. Conclusion: Six low cost, or financially self-supporting ways which we can store large volumes of CO2 and/or significantly diminish CO2 emissions. It is likely that these examples of large-scale applications of the olivine option that are presented will all turn out to be profitable or, at least, financially self-supporting without requiring subsidies or carbon credits. The costs/benefits of the spreading of olivine in high-energy shallow seas depend on the way to calculate it. If it is just the cost of the operation itself, this total solution of the climate problem and ocean acidification costs a lot of money (order of 15% of the price of the equivalent amount of crude oil), but if it is compared to the costs of the CCS alternative, which is still on the agenda of several governments, it will save a huge amount of money. The major obstacle may well be that the unusual character of the proposals will delay their introduction because parties have a tendency to shy away from untested innovative approaches. Each of the six represents a major breakthrough in the attempts to control climate change and ocean acidification.